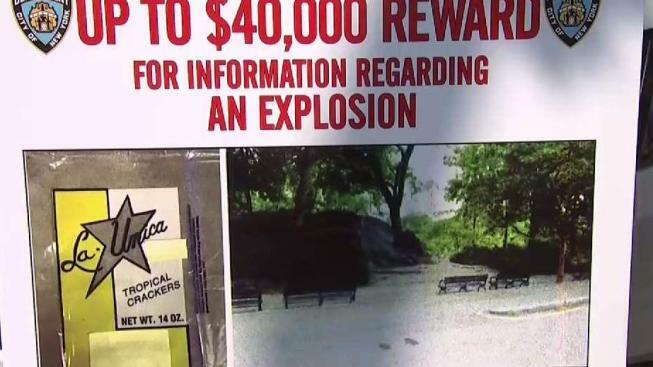 Investigators have released a flyer featuring a new clue in the unsolved case of a teenager who stepped on an explosive device in Central Park and lost part of his leg. Lori Bordonaro reports. 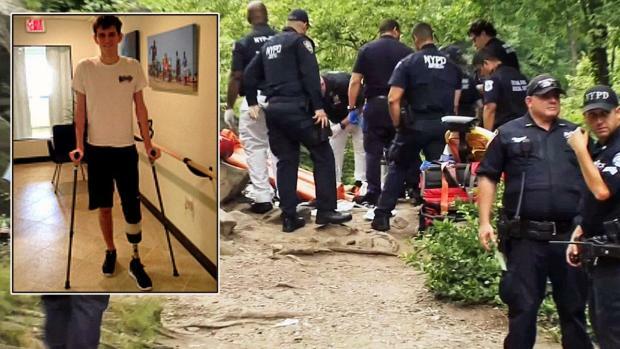 Investigators have released a flyer featuring a new clue in the unsolved case of a teenager who stepped on an explosive device in Central Park and lost part of his leg. The federal Bureau of Alcohol, Tobacco, Firearms and Explosives released an image of a clear shopping bag on Tuesday, the second anniversary of the explosion. They say the device that injured 19-year-old Connor Golden, of Fairfax, Virginia, was in the bag. Golden was at the park on July 3, 2016, when he stepped on a rock covering the device. His left leg was later amputated below the knee. Police are offering a $40,000 reward for information about the crime. With scant leads in the case of a mystery Central Park explosion, the parents of the college student maimed in the blast have been scouring old social media posts to look for new clues. Chris Glorioso reports. The bag pictured in the new flyer is from a New Jersey baker called La Unica.